The “spirit of entrepreneurship” is the ability to creatively find solutions for the various problems that exist in society – an act of changing the world by first changing one’s self. For Rap Snacks founder James Lindsay, our youth are some of the most innovative and creative thinkers in our society, and youth culture (including, but not limited to Hip Hop) – one of the most dynamic, and powerfully diverse vehicles for social good. 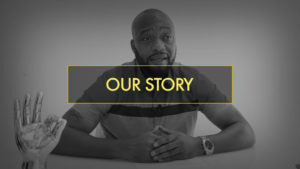 From the time he launched his Rap Snacks brand of snacks in 1994 in Philadelphia, Pennsylvania, he has sought—everyday—to inspire, challenge and empower young people from under-resourced communities like the one in which he was raised to tap into the power of their youth through entrepreneurship and help them reach their full potential. The Rap Snacks Foundation’s Boss Up initiative is a real world experiential entrepreneurship program that walks participants from the point of their passions and dreams to business plan, activation and achievement. By giving them the opportunities, they deserve, The Rap Snacks Foundation believes, like James, every child can build a better future—and become all they were created to be. 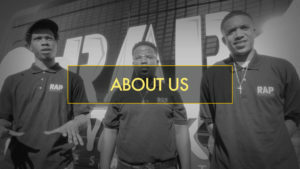 The Rap Snacks BOSS UP entrepreneurship program has successfully trained young men and women of under-resourced communities to take responsibility for, and control of, their own financial futures. Helping them realize their full potential, and secure for themselves, families, and communities a brighter tomorrow.